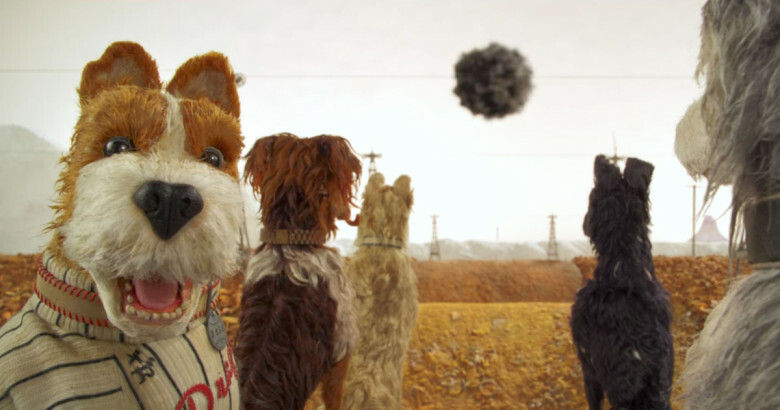 Quick takes on Wes Anderson's 'Isle of Dogs' – a group review – AiPT! 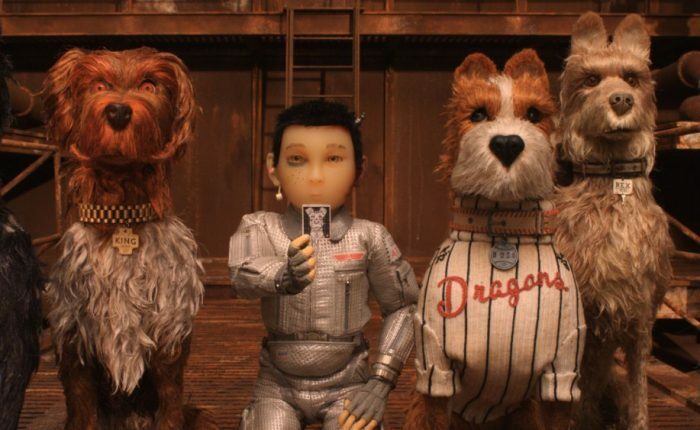 Isle of Dogs offers more Wes Anderson in a touching film. 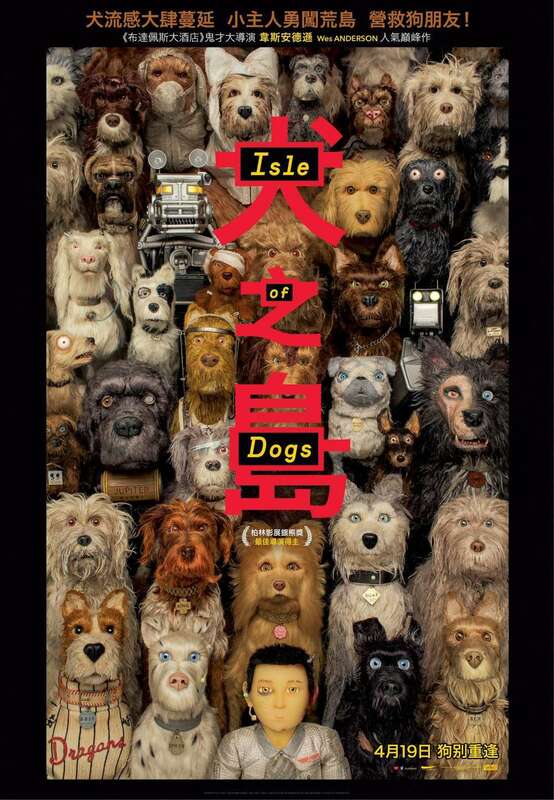 Isle of Dogs is the kind of indie film longtime cinema fans have to see because of the writer and director behind it. Wes Anderson basically has a genre all his own and this film is more of the same. That’s why AiPT!’s Lisa Allison, Chris Hassan and Dave Brooke had to see it opening night. Here are their quick post-viewing thoughts and full score below! Lisa: I enjoyed the mix of 2-D and 3-D elements, especially when they did dust and smoke effects. Chris: The various aspects of Japanese art and culture lend themselves nicely to the intricate details present in the film’s stop-motion animation. Dave: The visual style is dazzling with details that you’ll have a hard time tearing yourself away from. Lisa: The camaraderie of the five dogs is heartfelt and their recurring vote as a team was cute. Chris: I’m not a dog person, but I didn’t mind spending two hours with these chatty canines. Dave: The human characters shockingly had less characterization than the animals who strike your heartstrings with deep emotion. Chris: The usual Wes Anderson fare with humor that goes to some pretty dark places at times. But Jeff Goldblum always brings the funny. Dave: The deadpan humor strikes a chord with how serious every act and character is even when the risks aren’t so dire. Lisa: “Have you heard the rumor?” This movie is funny. Dave: There are many voices you’ll recognize, and some you won’t, but without a doubt, the voices add a sense of purpose to the dialogue no matter the scene. Lisa: The mix of Japanese, English and translated dog was a clever way to tell the story. Chris: Dogs have never been easier to understand. Chris: It hits all the usual Wes Anderson beats but feels fresh due to the fact that we’re watching stop-motion dogs and not real-life Wilson brothers. Dave: There are complex ideas in the film (like rising government power and the power of youth journalism) but at its core it’s about doing the right thing. Lisa: You could remove Wes Anderson’s name from the credits and you’d know it’s his movie because it follows his formula. Dave: There’s so many, from a group of people who have their own subset of rules to the symmetrical framing to the close-ups of objects. Lisa: The use of flashbacks is a big one. Chris: A young outsider, innocent romance… Bill Murray. Dave: The ending isn’t earned and wraps up too nicely. Lisa: A significant female character ends up giving up instead of picking up the gauntlet which reinforces stereotypes. Chris: I loved The Fantastic Mr. Fox but I didn’t love that so many moments in this film reminded me of that film. Mix it up, Wes! Lisa: Wes Anderson pulled together an all-star cast to bring us an emotional and funny journey. Chris: It’s not my favorite Wes Anderson film, but it’s hard to knock something that’s so visually appealing. Worth a watch! Dave: Worthy of the big screen as it’s rife with detailed animation and moving human moments. Lisa: 9 paws and I own a cat! Chris: 8 paws and I think I have a crush on Nutmeg. Dave: 8.5 paws–the half paw for Oracle!